Catalog all your data on Disks, DVDs, and CDs with abeMeda! 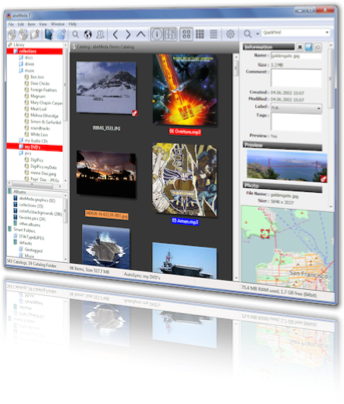 abeMeda for Windows (formerly known as CDWinder) is the most complete disk cataloger, media database and digital asset manager solution on the Windows platform. abeMeda quickly helps you organize your data archive and backup of any size, and keeps track of your photos, songs, movies and all the other files and folders - regardless where you left them. 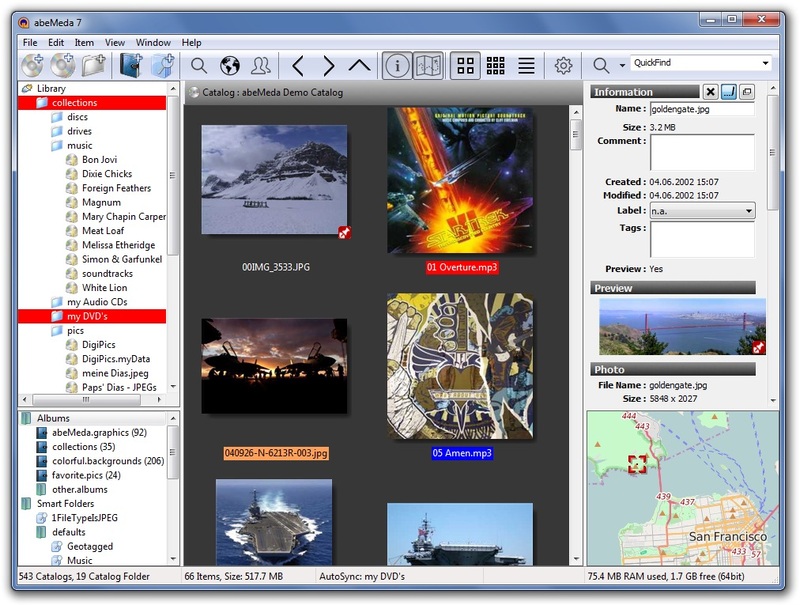 abeMeda quickly catalogs your photos, audio files, or any other media and data files, hard disks, USB sticks, server volumes, DVD-ROMs, CD-ROMs, and anything that spins. It delivers a rich and full catalog of all your files and folders, complete with important metadata and thumbnails for photos and videos - so you can stay in control of your data. Whether as desktop user, or in businesses on any small or large network, abeMeda will quickly locate your files. You need the best integration and workflow help? Then abeMeda is the solution for you! 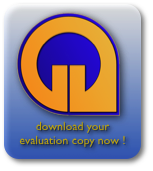 If you use Macintosh: NeoFinder for Macintosh will help you! Movies! abeMeda creates thumbnails of the most popular video formats, too. Supports all installed DirectShow formats, like AVI, MPG, FLV, MKV and QuickTime for MOV, MP4 or M4V. Help abeMeda not only comes with an easy step by step introduction and documentation, there are also FAQ, license Q&A, and more available right here, on the abeMeda web site. And if that is not enough, ask our support team! International abeMeda comes in three languages, in one application: English, German and Spanish.